One of my all time favourite restaurants is Pham Sushi, an unassuming Japanese restaurant on the equally unassuming Whitecross St, and I was lucky enough to eat there again last night. In fact, this was a pretty important evening – I was taking my parents for the first time. Would it live up to the huge amount of hype I’ve piled on it? Thankfully it did – and then some! By the looks of things, the word has got out about how good their sushi is and they seem to have opened a second premises just a few doors down from the original restaurant. 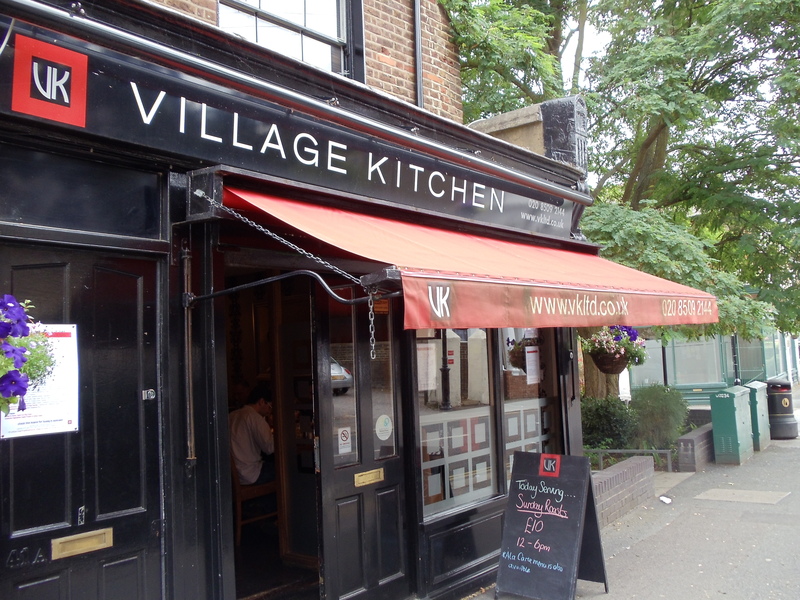 You definitely need to book to get a table here – it’s never quiet! 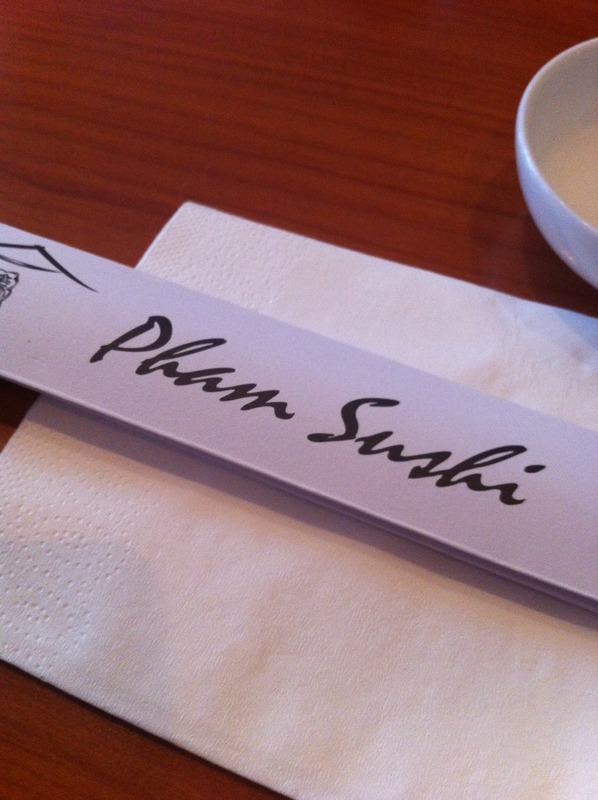 Pham Sushi is on Whitecross St, a market street halfway between Barbican and Old Street tube stations. There’s not much of note in the immediate vicinity, but if you do fancy a pre-dinner pint, I’d also recommend the Jugged Hare which is less than 5 mins away. But really, I would only be going to Whitecross St to eat at Pham. The restaurant itself is quite small, and always full and it’s not much to look at from the outside. But once you’re happily ensconced at your table it’s quite a relaxing environment, with attentive staff and pleasant surroundings. Weirdly it looks like some of the decor is Chinese, but this place is most definitely the best Japanese restaurant in East London! In a word, fantastic. I’m sure I read somewhere that the sushi chef was trained at Nobu, which may be true given that two of the best dishes I’ve tried have featured on a Nobu menu. First up their Black Cod with Miso – beautifully sweet flavours, with the most perfect flaky fish. And one of my all-time favourite dishes from Pham – Yellow Tail with Jalapeno Sashimi. At £15.50 it’s one of the most expensive dishes on the menu but I think it’s worth every penny. The quality of the sashimi is superb and the delicate flavourings just make this taste so special! We tried a couple of new dishes for the first time last night, with a particular highlight being Scallop Tobiko Sushi Roll. Anyone who needs some gentle persuading to try sushi should try this dish – the scallop is soft and delicate, but with the addition of a chilli, creamy sauce that really packs a punch. It was a real winner on the table. 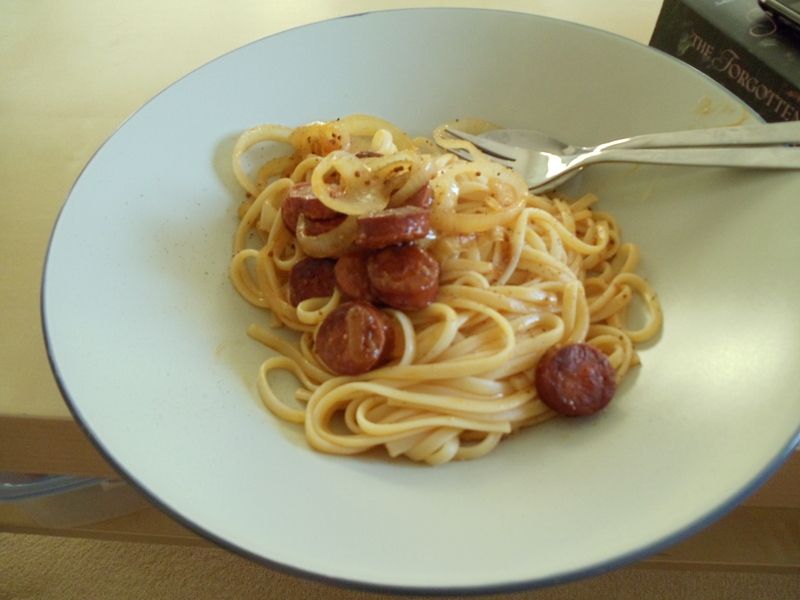 In fact it momentarily challenged for the “all-time-favourite-dish-ever” crown. I am somewhat obsessed with Pham Sushi’s Crunchy Tuna Roll. If I had to order my Last Supper – this dish would be my fish course (if I’m being executed in the morning, you can bet your bottom dollar my last meal on earth would be a full 7 course affair)! And I have been known to order an extra portion to take home to have for breakfast the next day… Anyway, we had this dish last night and it was as fabulous as ever. Finally, special shout out to the beef options we had – Sirloin Steak with Teriyaki Sauce and Gyu Asparagus (beef wrapped around asparagus with a teriyaki sauce). Both dishes were made with great quality steak, and the teriyaki sauce is nothing like that horrible gloopy stuff you get in crappy restaurants – Pham Sushi’s version is light but still packed with the same flavours. For the quality of the food you get, Pham Sushi is extremely reasonable. In fact, last night we ate like Kings in terms of quantity and quality, opting for some of their priciest dishes. We also had a couple of bottles of sake and a few beers, and the total bill for 4 people was less than £140. I really do think this is brilliant value, and it actually puts me off trying some of the more top-end Japanese restaurants because I’d always be comparing the value. I honestly can’t say enough good things about this place. Categories: Japanese, Restaurant Review | Tags: Japanese, Restaurant Review | Permalink. I’ve wanted to try Inamo in Soho for a while but was waiting for the right opportunity. I met up with a couple of friends last week and we haven’t been out together for a while, so I thought it’d be an interesting venue for our catch up. Because the main reason I knew about Inamo (and probably why most people go in the first place!) is due to its unique ordering system. 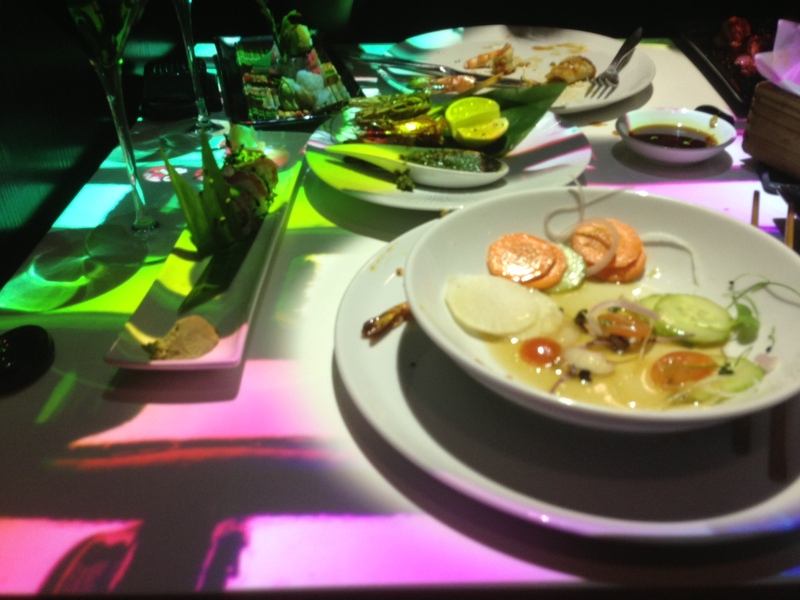 Rather than getting a menu and ordering via a waiter or waitress, at Inamo the tables are interactive and you view the menu and order straight from the tabletop. It’s obviously a novelty, but judging by how busy the place was, and someone ringing me to reconfirm my table the day before my reservation, it’s a novelty that is working well! The Inamo website (www.inamo-restaurant.com) states that the cuisine is ‘Oriental Fusion’ with influences from Japan, China, Thailand and Korea amongst others. Located right in the centre of Soho on Wardour Street, Inamo is very centrally located and easy to get to. It was actually a lot smaller than I expected and the restaurant was absolutely full when we went. The atmosphere was lovely – lots of hustle and bustle, but not too loud or overpowering. The lighting is dark so that the tables themselves become a central design feature. One of the many things you can do with the touchscreen tables is change the image or pattern projected onto the tabletop, and that really can alter the environment you create for yourself. The novelty of the ordering system meant that initial conversation stopped whilst we all played with the screens, but it was a great conversation piece overall and each individual orders their own dishes/drinks, but you can easily see a running total of the items you have ordered individually AND the total for the table. This could actually be good if you were in a group who wanted to split the bill by what they ordered – it saves the maths problem at the end of the meal! Before arriving at the restaurant I was a bit concerned we’d be rushed through. As soon as I got my booking confirmation it made quite a big deal that we would only have the table for 90 minutes. And this message was reiterated by the server who seated us. And whilst I understand the need to turn tables, I really don’t think 90 minutes is that long. I’ve been to restaurants far more ‘in demand’ than Inamo who at least let you have a table for 2hrs (I’m thinking Nobu and Galvin La Chapelle here). But actually, we were not hurried out after our 90 minutes were up, although I have no doubt if they needed the table urgently we’d have been told to get our coats! The ordering system was fun, but you can’t compare dishes very easily like you can in a regular menu (by flipping back and forth through the pages). So I spent ages scrolling through dish after a dish trying to work out what I wanted. Once you hit order it sort of ‘saves to your basket’ so you can total up what you want, and then delete if needed before actually submitting your order to the kitchen. I enjoyed the process, but I reckon people might get a bit carried away as it somehow takes more effort to keep tabs on how much you’re spending, particularly if you order a series of small dishes (sushi etc). But overall, a really enjoyable experience. So once you’ve played with the table, what then? Well the food was pretty decent actually. Two of our party ordered a series of small dishes to share and these were, on the whole, very nice. I particularly enjoyed the Squid and Spring Onion Dim Sum and the Tuna Maki – both were full of flavour. I actually thought that the sauces and dips that came with a lot of the small plates were the stars of the show – fresh, zingy and spicy. I was a little disappointed with the portion size of the Miso Grilled Seabass although, again, the flavours were fantastic and the fish was perfectly cooked. And the Wafu Salad as a side dish was initially a little disappointing to look at, but ended up being a great addition to the meal. 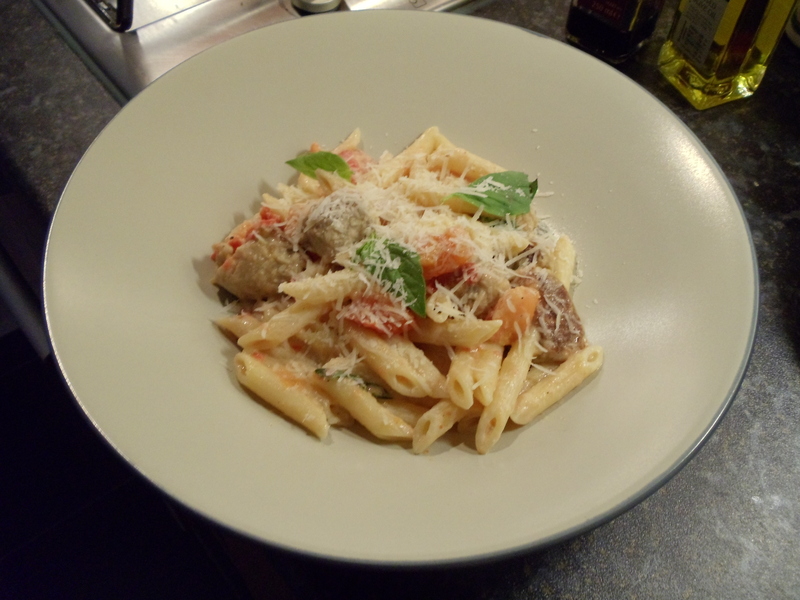 Portion sizes for the smaller dishes were to be expected, but did come up a little tinier than I’d hoped for. However, one of my friends went for a main dish of Malaysian-Style Noodles which was quite a huge bowlful, so perhaps I’m being a little unfair. I think this is where I have a problem. In writing this review I’ve realised that I really did like the food and the atmosphere, as well as the interactive tables. But my overwhelming feeling when I left was ‘That was quite expensive and I’m still hungry’. You can definitely get better quality food which will cost less in London – particularly Japanese. I feel that you pay a significant premium for the novelty and whilst I’m not saying that I wouldn’t go again, I would order differently. And I wouldn’t go back with the same people, if that makes sense – now I’ve shared that experience with those particular friends, there’s nothing that would make me want to revisit Inamo with them. The food and value just isn’t good enough for me. But if someone else wanted to try it out for the first time, I’d go along too. Overall, I would recommend people try this place – it’s unique and the food is good. But I would always back this up by saying you’re going for the overall experience, not just the food. There’s other places that look a LOT shabbier than this place, but the quality is in the food not the decor! Categories: Pan-Asian, Restaurant Review | Tags: Inamo, Pan-Asian, Restaurant Review | Permalink. One of the wonderful things about living in East London is the number of great Vietnamese restaurants nearby. I have no doubt that I’ll be posting a full review of one of my absolute faves – Mien Tay – which I’ve already referred to in a previous post, but for now I’m leaving Kingsland Road behind. 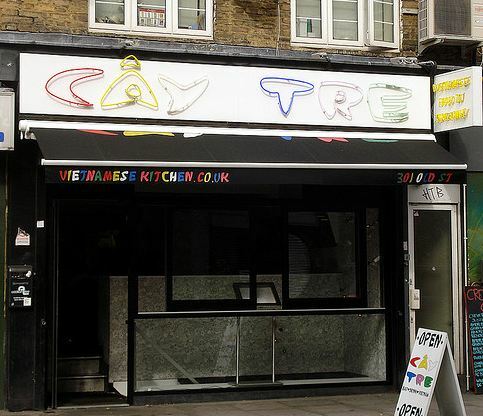 About 10 mins away lies Cây Tre on Old Street, and it’s rapidly rising up the ranks in my favourite Vietnamese category! There’s something really fresh about Vietnamese food that I love – really clean flavours, but packed with plenty of punch. 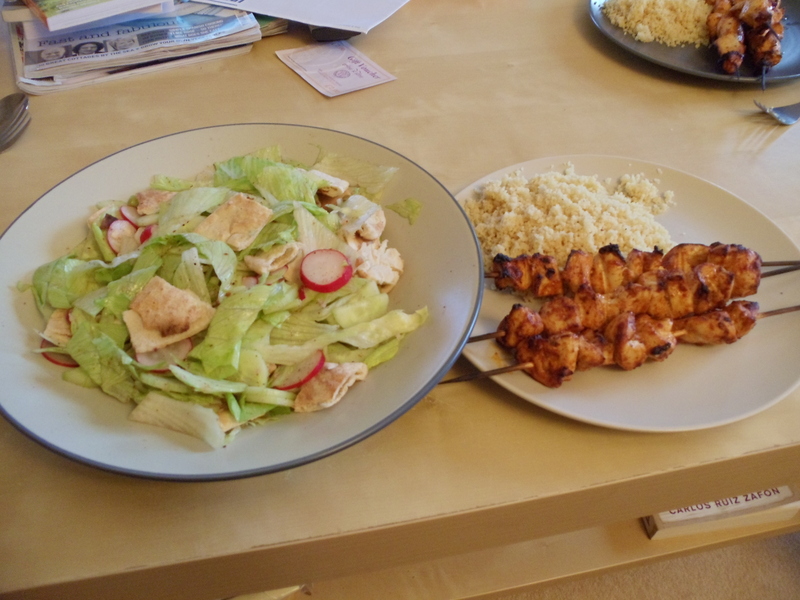 And it’s one of those cuisines I really want to start mastering at home. Tightly squeezed into a row of terraced properties on Old Street, Cây Tre is not too far away from Hoxton. And it’s worth the wander. The atmosphere is hot and chaotic, but in a good way! In fact, the owner (or manager, I can never quite tell) orders his staff and customers around in equal measure. Whilst walk-ins will always try to be accommodated, there’s absolutely no guarantee. This place is ALWAYS busy, so it’s definitely worth booking ahead if you can. The staff are extremely efficient and during their busiest periods they will not hesitate to rush you through your meal. But honestly, whilst this behaviour would annoy me in many other places, it’s all part of the charm here. It’s not the sort of place you want to stay in for hours anyway. The restaurant is on two-levels, and tables are squeezed in wherever there is room so there’s lots of hustle and bustle. But watching the steady stream of bowls and plates landing on tables around you is guaranteed to get your mouth watering! The food here is really good and the menu is refreshing with lots of dishes I haven’t necessarily seen in other Vietnamese restaurants. So starting with the starters, whilst I do love Mien Tay on Kingsland Road, the Chilli Salt & Pepper Squid at Cây Tre is definitely the best I’ve tasted. Really lightly battered and with lots of onion and garlic. For a sense of occasion, I can’t help myself ordering the Table Griddled Beef starter which you need to share with a friend. You get a tabletop burner and cook rib-eye steak (in very thin slices) at the table, which you then wrap in rice paper along with noodles, herbs and a kimchi-type dish they provide. It’s very tasty indeed! On to main courses, a couple of dishes stand out in my memory. Fried Sea Bass with Green Mango is delicious, with the green mango and sauce managing to avoid overpowering the delicate fish. 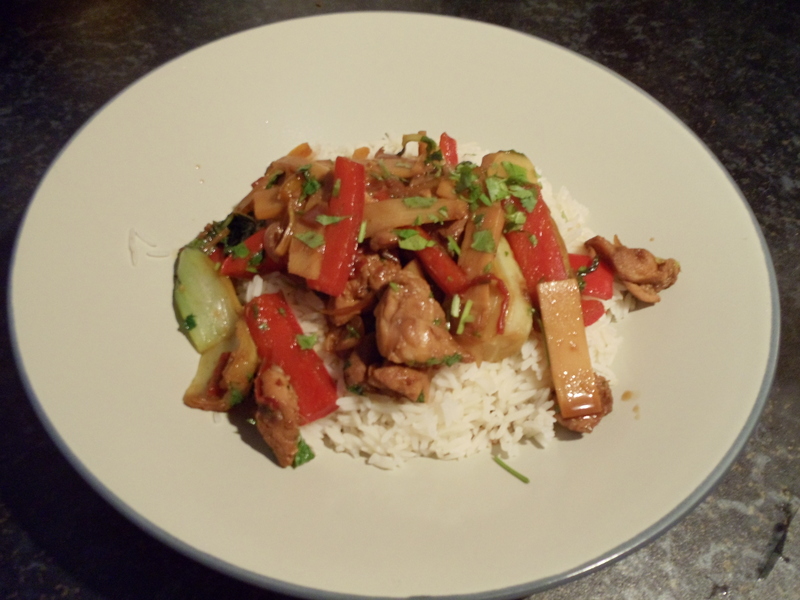 Then there’s the Coconut Chicken Curry, the title of which doesn’t really do the dish much justice – the flavours are so much more complex than they sound! And finally their Beef Pho. They have quite an extensive Pho menu, and this one is the only one I’ve tried but I used to have it A LOT when I worked in Old St. It was always worth the walk, and the wait, for lunch! Whilst I’m sure you can get Vietnamese food marginally cheaper in London, I can’t imagine it’d be by much. And for quality, CâyTre really is great value for money. I guess one differentiating factor would be in the drinks – some of the restaurants on the Kingsland Road allow you to take your own drink (including Mien Tay) which keeps the cost down. This isn’t the case at Cây Tre, and actually the only thing I felt was a little pricey was £4 for a bottle of lager. But they do have quite a cheap wine list if you so choose. Overall, this place just keeps getting better and better in my opinion, and I would never hesitate to recommend it to people who happen to be in the area. Categories: Restaurant Review, Vietnamese | Tags: Restaurant Review, Vietnamese | Permalink. One of the most wonderful things about living in London, is the sheer volume of restaurants. London gets a bad reputation for being expensive, and when it comes to drinks, then it’s probably quite fair. But when it comes to food I really disagree. The volume of restaurants mean that price is still a differentiating factor – you can get brilliant food at all price points. Cheap does not mean bad. But there’s another thing about the sheer quantity of restaurants in London that I love – the power of comparison! One of my all-time favourite cuisines is Spanish – not your crappy tapas chain, but proper Spanish food. And I reckon it’s only in London where I can fully indulge my quest for the best Jamón ibérico de bellota. There might be one brilliant Spanish restaurant in most UK cities, but in London there’s loads. And I revel in trying them all! Opera Tavern is located near the Strand, and I’ve been a couple of times now. Both times I’ve spent a lot of time oohing and aahing about their Spanish and Italian inspired tapas. The building is two-storey, with downstairs having quite a large bar that you can sit at. The first time I went, it was just me and my boyfriend and we had a cosy table downstairs (but not at the bar). The atmosphere was lovely – bustling and chatty, but not frantic. And being near the bar really added to the environment, rather than detracting from it as can sometimes happen. But on our latest trip (this time 4 of us), we were ushered upstairs. Given our table was also booked for 10.15pm (post theatre, as this place is well located if you’ve been to see the Lion King. By the way, go and see the Lion King. It’s wonderful), I was worried that we’d be sat in a quiet, soulless room. But no, Opera Tavern definitely remains busy later on in the evening! Again, a perfect blend of hustle and bustle, but without being crammed in like cattle or having someone repeatedly knock the back of your head with a plate of food! Oh God, the food… It’s a truly wonderful affair. It’s tapas, but with such flair and dedication that each plate feels like a gastronomic delight! I can’t say I’ve ordered anything disappointing here – and I’ve probably sampled around 20 different dishes during my two visits. 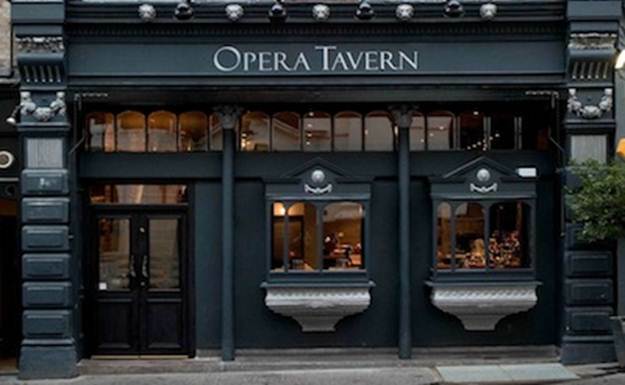 My ‘Spanish Restaurant in London’ benchmark is Iberico Ham and Opera Tavern does not disappoint on this front. In fact its sister restaurant, Dehesa, is probably the best I’ve ever had, but Opera Tavern is not dissimilar. They make great use of their in-house charcoal grill when creating Mini Ibérico Pork and Foie Gras Burgers – the flavours blend together nicely, and the slight charcoal edge is a delight. Other stand out dishes include their Stuffed Courgette Flowers (stuffed with goats’ cheese and drizzled with honey), Confit of Old Spot Pork Belly with Rosemary Scented Cannellini Beans and their Scallops dish. In fact, I credit Opera Tavern with reinvigorating my love of scallops – it seemed like every restaurant in London decided to offer them (usually with the ubiquitous pea purée), but couldn’t get it right. This place really can. And then, what is probably the biggest testament I can give to a restaurant, one of their desserts still makes me giddy! I’m not really a dessert fan, usually preferring to enjoy a starter instead, or go down the cheese route. But I decided to try their Blood Orange Panacotta with Pistachio Crumble. I’m not very good at sharing food at the best of time, but rest assured, no one else got a chance to try it out. Ooh, it was good! This place isn’t cheap, but it’s definitely worth the money as a treat. The portions are not huge, so don’t go expecting major platefuls of food. Instead, revel in the opportunity to try lots of different flavours. And whilst the menu seems to retain a few favourites, the rest is updated according to the season, so there’s always going to be something new to try. If you fancy pushing the boat out, but want a relatively relaxed environment, I would strongly recommend this place. Categories: Restaurant Review, Spanish | Tags: Restaurant Review, spanish | Permalink.